Joshua Gottheimer is an American lawyer, speechwriter, public policy adviser, and the U.S. Representative for New Jersey‘s 5th congressional district. He has been active within the Democratic Party as a speechwriter for Bill Clinton and as an advisor for the presidential campaigns of Wesley Clark, John Kerry, and Hillary Clinton. He has also worked for Burson-Marsteller, the Federal Communications Commission, Ford Motor Company, and Microsoft. On November 8, 2016, he defeated incumbent Scott Garrett in the congressional race for New Jersey’s 5th District. Gottheimer was born to Jewish parents in Livingston, New Jersey on March 8, 1975. His mother was a preschool teacher and father a small business owner. Growing up, he worked in his father’s store. At the age of 16, Gottheimer served as a United States Senate Page for Frank Lautenberg, a Senator from New Jersey. Through high school and college, Gottheimer held internships with C-SPAN, the Secretary of the United States Senate, and Tom Foley, the Speaker of the United States House of Representatives. Gottheimer graduated from West Essex High School, the University of Pennsylvania, and Harvard Law School. While he attended the University of Pennsylvania, he served on the rapid response team for Bill Clinton’s 1996 reelection campaign. Gottheimer attended the University of Oxford for a year following Clinton’s reelection. He joined the Clinton administration as a speechwriter in 1998, at the age of 23, working in the administration until its end in 2001. While attending law school, Gottheimer worked for Wesley Clark’s 2004 presidential campaign, John Kerry’s 2004 presidential campaign, and Hillary Clinton’s 2008 presidential campaign as an advisor. After the 2004 election, Gottheimer worked for the Ford Motor Company, and then became executive vice president for Burson-Marsteller. He worked for the Federal Communications Commission from 2010 through 2012, where he led an initiative related to broadband internet. He then joined Microsoft as a strategist. He was also a member of both the Ridgewood and New Jersey Chambers of Commerce, the Rutgers Business School Advisory Board, and was a visiting fellow at Princeton University’s Center for Information Technology. He also taught history at the University of Pennsylvania. Gottheimer ran for the House of Representatives in New Jersey’s 5th congressional district and defeated Republican Scott Garrett in the 2016 election. He was reelected in 2018. 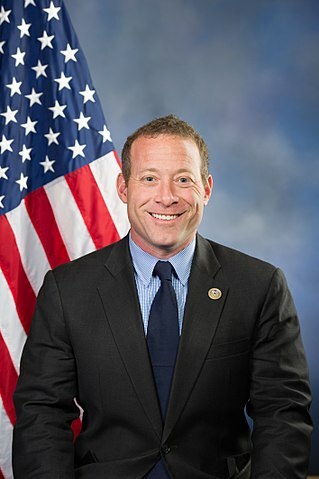 In Congress, Gottheimer serves on the House Financial Services Committee where he works on three Subcommittees: the Capital Markets, Securities, and Investments Subcommittee, the Oversight and Investigation Subcommittee, and the Terrorism and Illicit Finance Subcommittee. In February 2017, he was elected Co-Chair of the bipartisan Problem Solvers Caucus, where he works to bring the group of 24 Democrats and 24 Republicans together across party lines to find areas of agreement on key issues including lowering taxes, cutting burdensome and unnecessary regulation, lowering health insurance premiums, and improving infrastructure to help the American people. Gottheimer is a native of North Caldwell, New Jersey, and he resides in Wyckoff, New Jersey. He is Jewish and a member of the Alpha Epsilon Pi Fraternity. He married Marla Tusk in 2006. Together, they have two children.